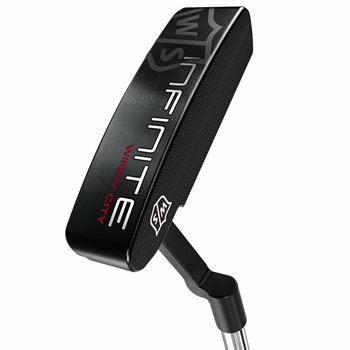 The Wilson Staff Infinite putter line features counter-balanced technology for a more controlled putting stroke and a double milled face for consistent impact, roll and distance control. The dark, matte finish reduces glare and accentuates sight-lines while the new oversize grip construction provides a stable feel and limits rotation. Inspired by Wilson's headquarters in Chicago, each putter is named after a local landmark or neighborhood.